Last week, Troy Lee Designs launched its new 2016 helmet line. This week it’s a new line of apparel and protective gear. Favorites such as the Skyline, Ruckus, Ace, Spring, and Moto lines all received improvements — and there are some new additions. TLD also added a new collection of baselayers and more options for women. On the protective front, they have two lines that cover trail and gravity. The Ace line contains trail and XC oriented kit (click to enlarge). 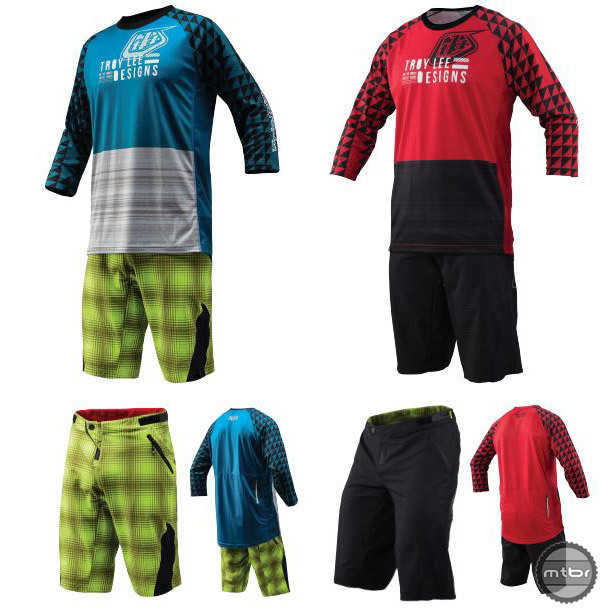 The Ace line is TLD’s take on Lycra. The main components saw minor (but refreshing) updates such as a full length front jersey zipper and three center zip stash pocket. 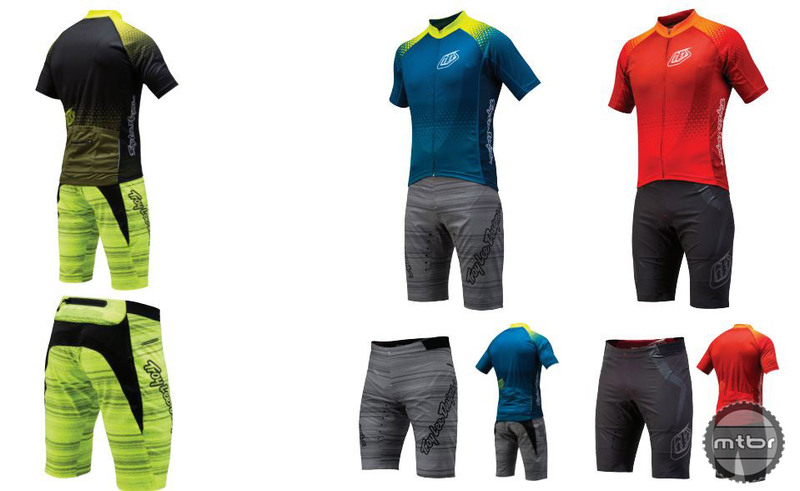 There are also some new pieces, such as bib shorts and baselayers. The Ruckus line is oriented towards all mountain riding (click to enlarge). The Ruckus line is targeted towards all mountain riding and is popular among the enduro racer crowd. Jerseys now have dual rear pocket storage, while the shorts received a new liner and improved chamois. Gloves are now touchscreen compatible. 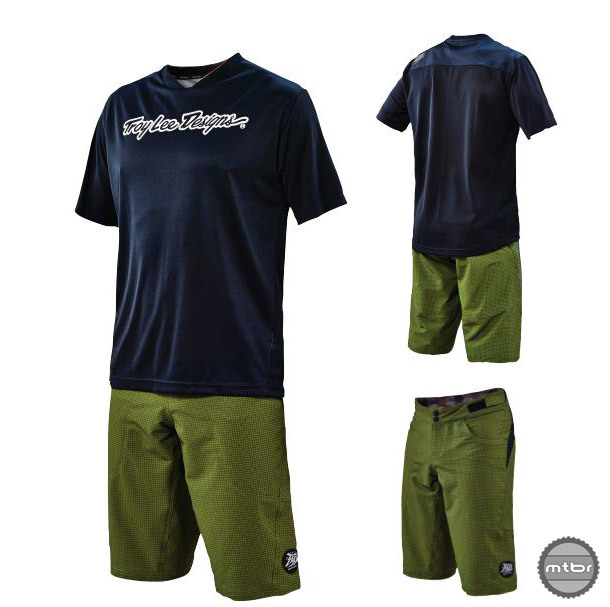 TLD also launched a Ruckus baselayer that incorporates a three pocket storage system that’s positioned higher on the back to avoid interfering with shorts or pants. The Skyline range is targeted at trail riding and features subdued colors (click to enlarge). The Skyline range is divided into two sub categories: Skyline (performance trail) and Skyline Race (more features). Otherwise the Skyline kit remains relatively unchanged except for new colors, while Skyline Race expanded from just shorts to now include a jersey. Last year, riders wearing Spring gear claimed the World Cup DH and World BMX title (click to enlarge). The Sprint line is a perennial favorite among gravity and BMX racers. This kit was redesigned last year, but did receive a minor update in the form of vented stretch mesh in key areas. There are also some awesome new colors. 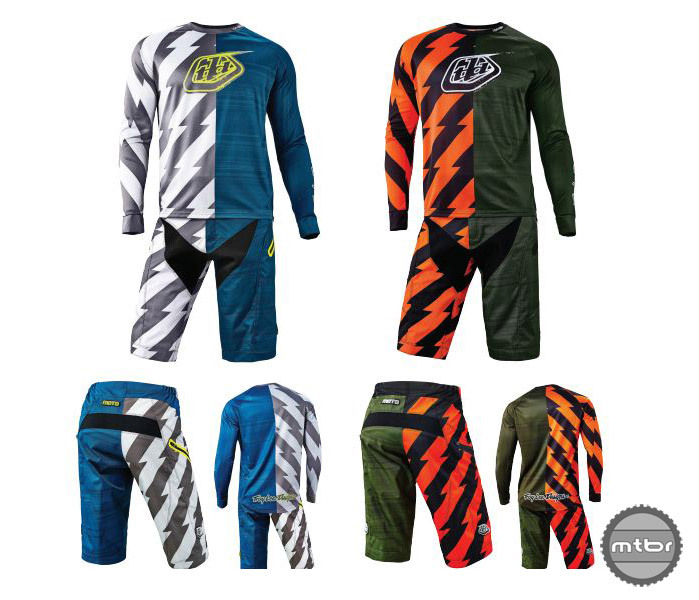 The Moto kit is TLD’s original gravity offering and has a looser fit than the more race oriented Sprint line (click to enlarge). While the Sprint kit is more race oriented, the Moto line is aimed at the bike park crowd. Shorts have a new spandex crotch and yoke for better fit, as well as new zipper pockets that are easier to use.